Description : Lypp is a free group calling service that uses your existing landline or mobile number and requires no additional client software. 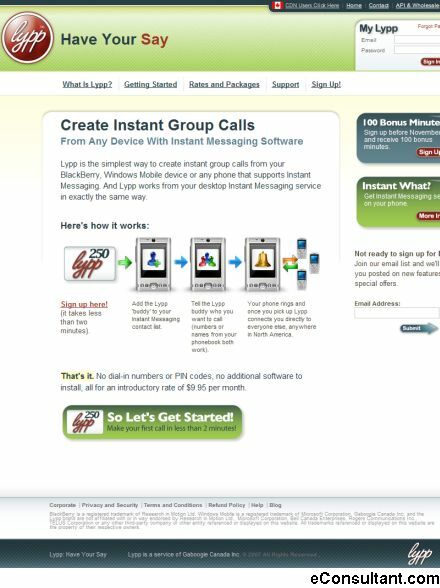 Calls are initiated using instant messaging (all of the major IM networks are supported) and the service also works from the IM clients installed on popular mobile devices, such as Windows Mobile and RIM’s BlackBerry phones. The web application and calling sentry are written in Ruby and an API enables integration of many more group calling features with other web applications and services.